Unlocking the secrets of your genome. The Smith Family Clinic for Genomic Medicine, LLC., a wholly-owned subsidiary of HudsonAlpha Institute for Biotechnology, has been established to diagnose patients with undiagnosed and misdiagnosed diseases. Patients will be seen by a clinical geneticist who will evaluate symptoms, or patient phenotype, and determine whether whole genome sequencing or another genetic test is appropriate. The data found from the genomic sequence is then interpreted clinically to identify variants, or changes in the DNA, linked to the disease. What types of diseases can you diagnose? Genetic diseases can be inherited, even though no one else in the family has the same symptoms. Also, sometimes genetic changes “just happen” in nature, and those changes can lead to genetic conditions. 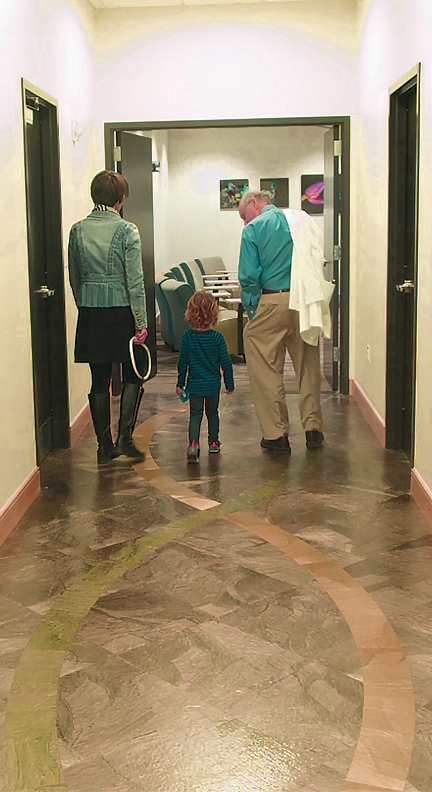 At the Smith Family Clinic, we offer whole genome sequencing, which reads a patient’s entire DNA. That information is analyzed to find genetic changes that may be causing a patient’s disease. Alternative genetic tests may also be offered to patients when our specialists suspect those tests may point to a definitive diagnosis. Pediatricians, neurologists, immunologists, cardiologists, and other specialists are some of the physicians that have referred patients to the clinic. By using the power of genomics, we can solve cases of undiagnosed disease and provide answers to families and physicians. The clinic’s mission is not only to help find answers but also to give patients the best clinical care and a positive medical experience. Our vision for genomic medicine is for whole genome sequencing to become an increasingly valuable tool not only for diagnosis but also for prediction and prevention of disease. 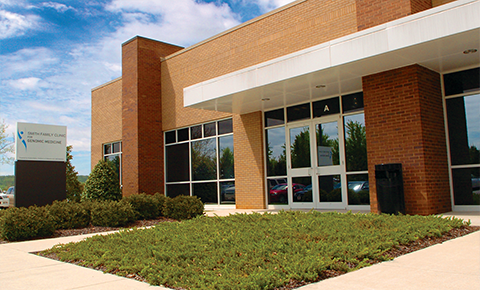 The Smith Family Clinic is located on the campus of HudsonAlpha Institute for Biotechnology. Note that HudsonAlpha is a tobacco-free campus and the Smith Family Clinic for Genomic Medicine is also tobacco-free. How can Whole Genome Sequencing help my patients? Copyright © 2015 The Smith Family Clinic for Genomic Medicine, LLC.